The Holy Trinity-Saint Sergius Lavra is the Vatican of the Russian Orthodox Church. It contains the Theological Seminary, the largest library of religious literature, famous icons, and historical and artistic treasures. 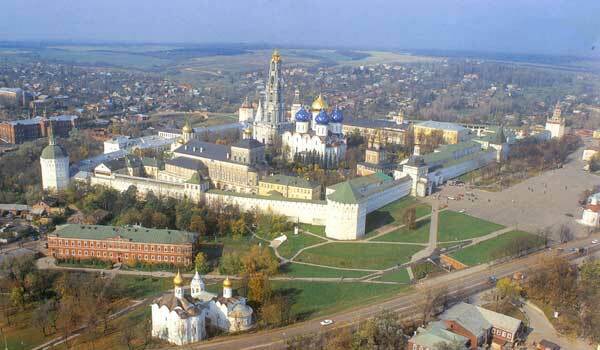 The architectural complex of Trinity-Saint Sergius Lavra was developed in the course of several centuries. The main church of the Lavra, the Cathedral of the Assumption (echoing the Kremlin Cathedral of the same name), contains the tomb of Boris Godunov. Among the treasures of the Lavra is the famous icon, The Trinity, by Andrei Rublev.